Help support the Fund by applying for a Capital One credit card that provides the fund with 2% back on all purchases. The credit card also offers reward points. Click on the credit card image above to apply now! The Barwick/Newton National Law Enforcement Fund was established in 2004 to assist with transportation and other expenses incurred by family members of fallen officers who travel to Washington, DC to participate in National Police Week activities. The Fund is named in memory of St. Louis Police Officer Michael Barwick and Missouri Trooper Michael Newton. 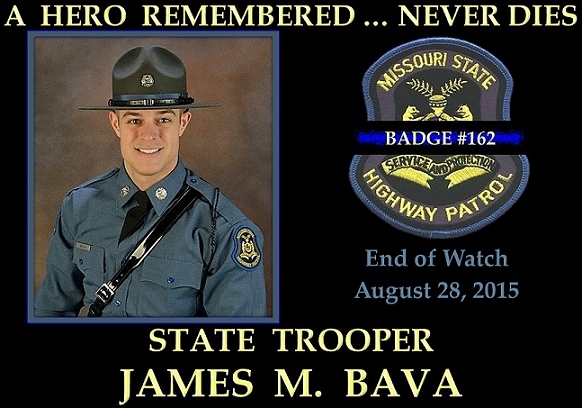 The family of Officer Barwick started the Fund with the help of Missouri State Trooper Steve Davis to relieve the financial hardship experienced by Trooper Newton’s family in attending National Police Week. The Fund operates to prevent other families from experiencing similar hardship. The Fund was established by the Transportation Research Project. Do your Mother's day shopping at Amazon using the link below, and a percentage of your purchases will be donated to our fund! Retired St. Louis Metropolitan Police Lieutenant Joe Beffa - Outreach Leader/Marketing in state of Arkansas. Distinguished and Dedicated Volunteer Service to the Barwick-Newton Fund. Karen Armstrong - Outreach Leader/Marketing. Distinguished and Dedicated Volunteer Service to the Barwick-Newton Fund. Knights of Columbus; Council 6609 - Fayetteville, Arkansas. Generous cash contribution to the Fund. Bridgeton PD Detective Chris Welby - Chairman/Organizer - Annual Texas Hold-Em Tournament in Bridgeton, Mo. I will be looking for you at Jefferson City!